Christian's sister commits suicide. Why? 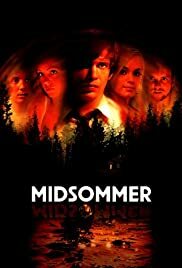 After his 4 friends graduate secondary school, they head off to a Swedish cabin for midsummer as previous years. Strange things happen. Is it his sister's spirit? Katrine moves to a student residence in Copenhagen. She's told the myth of the ghost from room 205. But when a mirror breaks an evil spirit is released and the body count starts. Anders Matthesen's one-man show from his 2006 tour. Persson: Am I interrupting anything? Persson: I brought some mushrooms... I've got my own spot full of mushrooms out in the forest. Mark: Were not actually gonna eat those, are we?